If you think that Google has already given up on creating its own smartphones after the not-so-financially-successful Nexus One, think again. Just recently, Google has officially announced the release of Nexus S, the first device to ship with Android 2.3 "Gingerbread". Although Samsung was tasked to manufacture this latest Googlephone, the software is strictly integrated with the hardware and promises to deliver 'pure Google' experience as they say. Aside from running the latest and most probably the best version of Android yet, the Nexus S is also equipped with several innovative features. One of which, is its built-in NFC (near field communication) hardware that enables the device to communicate with both existing ISO/IEC 14443 smartcards and readers, as well as with other NFC devices making it compatible with existing wireless infrastructure already in use for public transportation and payment. And since NFC is fast and flexible and can be easily embedded in different kinds of objects, expect to see Android applications that will take advantage of this technology. Another state-of-art feature of the Nexus S is its 4-inch Super AMOLED contour display. The Nexus S is considered as the first smartphone to utilize a curved glass screen that is intended to fit comfortably in the palm of users’ hand and along the side of the face when making calls. Meanwhile, Samsung's Super AMOLED (Super Active-Matrix Organic Light-Emitting Diode) is one of the finest display technologies right now that can measure up to Apple's "Retina Display" used on the iPhone 4. The Nexus S is powered by a 1GHz Cortex A8-based Hummingbird processor and offers 16GB of internal memory. Other features worth mentioning are its front and rear facing cameras, three-axis gyroscope, and overall user interface improvements. 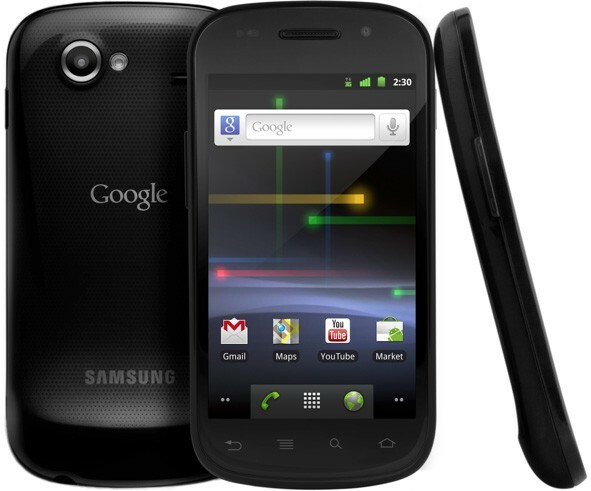 The Nexus S will be available in the U.S. on December 16, and in the U.K. on December 20. According to several sources, the price of the unlocked Nexus S is $529, and $199 if with a 2-year T-Mobile contract, but it doesn't appear that it will be one of T-Mobile's prepaid cell phones. Although the Nexus One was not a huge hit among mass consumers, it paved the way for other Android smartphones that have become successful and surpassed expectations like the Motorola Droid, Samsung i9000 Galaxy S, and HTC Desire. This why Google has prompted to release the Nexus S, which I think is a huge improvement over the first Googlephone that it has the potential to be a runaway success.